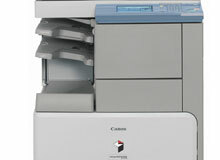 Canon ImageRUNNER 2230 Copier Offers much more without exhausting your budget @23-ppm. 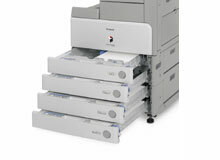 TheCanon imageRUNNER 2230 can achieve more without exhausting your budget. 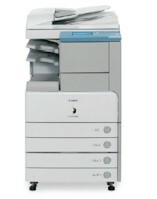 IR2230 is operating at 22-pages-per-minute, this device is the ideal solution for smaller corporate workgroups and departments. 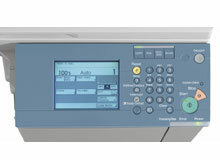 The imageRUNNER 2230 supports basic digital copying and the ability to add Mail Box features, network printing, scanning, and fax capabilities. Plus, you can add stapling, sorting, and hole-punching all within the original footprint of the device, even the most space-conscious environment can create professional-looking output. 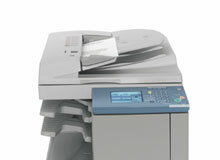 The imageRUNNER 2230 is an extremely compact, cost-effective system your business can count on. With a scanning resolution of 600 x 600 dpi, enhanced copy resolution of 1200 x 600 dpi, and enhanced print resolution of 2400 x 600 dpi, the imageRUNNER 2230 delivers superior quality for the most faithful reproduction of text and images. The touchscreen user interface panel and intuitively-designed device drivers provide user-friendly operation for both walk-up and desktop environments. Provides security measures for online information sharing and storage needs. With a standard paper capacity of 1,150 sheets, which can be expanded to 2,250 sheets, the imageRUNNER 2230 has been designed to meet the volume requirements of any workgroup. The optional Mail Box functions of the imageRUNNER 2230 serve as a centralized system for information-sharing, on-site document storage and print-on-demand applications. The imageRUNNER 2230 can be equipped with an optional Super G3 fax board for the ability to transmit faxes at impressive speeds. With optional Remote UI, features and functions of the imageRUNNER 2230 are controlled and accessed right from a user's desktop.